Library staff from across the state of Delaware are invited to apply to participate in ILEAD USA Delaware 2015. The Division of Libraries has been promoting this continuing education library immersion program over the past several months, encouraging library staffers whose positions may range from part-time pages to full-time librarians to identify a community need that can be addressed through an innovative use of technology. 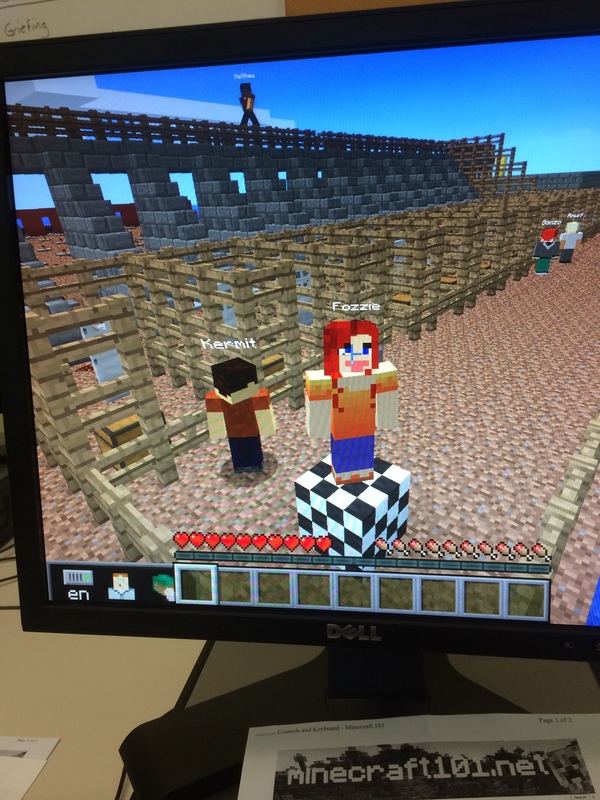 That is the core of ILEAD – a program that teaches library staff to work with each other using participatory and emerging technologies to solve a community need. ILEAD, a clever acronym for Innovative Librarians Explore, Apply, and Discover, was initiated by the Illinois State Library (ISL) and will be funded in 2015 by an Institute of Museum and Library Services (IMLS) Laura Bush grant through the ISL and by the Delaware Division of Libraries. Last year my colleague and I traveled three times to Springfield, Illinois, to participate in the fourth cohort of ILEAD as Apprentices. Along with ten* other states, we observed 25 Illinois library staffers as they progressed on their team projects, during the time span of March 2014 through October 2014. We watched the teams develop their leadership and team building skills as they learned new technologies to fulfill their project goals and better serve their communities. Engaging Ones – developed a geo-location capable software application to connect teens with librarians and library programs near their current location. Resulted in IMLS Sparks! Ignition grant. Grow Digital – a centralized site for people struggling with digital literacy where they can acquire the digital skills needed to function well in today’s society. Robot Test Kitchen – reviews of robotic tools for use in a public library setting. Sharing Useful Professional Electronic Resources – a collection of digital resources organized by school librarians to reflect the Common Core standards for language arts. The Division of Libraries is bringing this extraordinary program to Delaware in 2015. We are in search of innovative library staff, mentors and instructors. Delaware Teens are invited to create a 30 to 90 second video with their unique interpretation of the 2015 Summer Library Reading Program slogan “Unmask” combining reading and libraries. This is an opportunity for teens to showcase their creativity and have their videos seen before a national audience. The Video Challenge, a national competition for teens to get involved with reading and their public library’s summer reading program, is sponsored by the Collaborative Summer Library Program (CSLP). CSLP is a consortium of public libraries and state library agencies throughout the United States, its territories, and the Cayman Islands. Entries will be judged on: Creativity; Message clarity and relevance; Motivation and inspiration; Overall impact. $150 will be awarded to the creators the winning state video and their associated public library will receive prizes from CSLP and Demco/Upstart. The deadline for Delaware entries is Friday, March 20. Winners will be announced by CSLP in April 2015. Libraries offer fun and engaging programs for all ages, and language programs are an important part of these offerings. The Corbit-Calloway Memorial Library recently hosted “Uno, Dos, Tres con Andrés!” – a high energy bilingual language program. Questions about Ebola? Am I in danger? Can I travel? 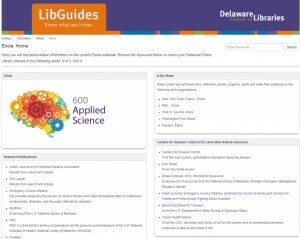 The Division of Libraries now has a LibGuide on the Ebola virus. This guide gives you news, research resources and authoritative information together in one finding aid. The Institute of Museum and Library Services (IMLS) recently interviewed State Librarian, Dr. Annie Norman, about how the needs of library users are changing and evolving. It’s an interesting topic and a worthwhile read. Thanks for the support IMLS! Fall is in the air – a time to harvest our bounty! At the Delaware Libraries Inspiration Space, we have been talking to Delawareans to find out how libraries can help to water, nurture and grow entrepreneurship in Delaware. We continue to urge people to share ideas with us via this blog. Now we want to share some resources with you. Libraries in Delaware offer free programs for entrepreneurs, such as social media marketing and basic programs about how to start a business. There are several programs offered monthly at multiple libraries throughout the state. Also, libraries have great online resources at: http://guides.lib.de.us/entrepreneurship. Inspiration Space @ Delaware Libraries continues to be a large cornucopia for collecting ideas and this blog is one mechanism for us to share the ideas with you. Join the discussion on this blog! • Alta Porterfield @ 302-922-0753 or alta.porterfield@lib.de.us. • Ray Goode @ 302-222-8509 or ray.goode@lib.de.us. • Hope Ellsworth @ 302-222-3618 or hope.ellsworth@lib.de.us. 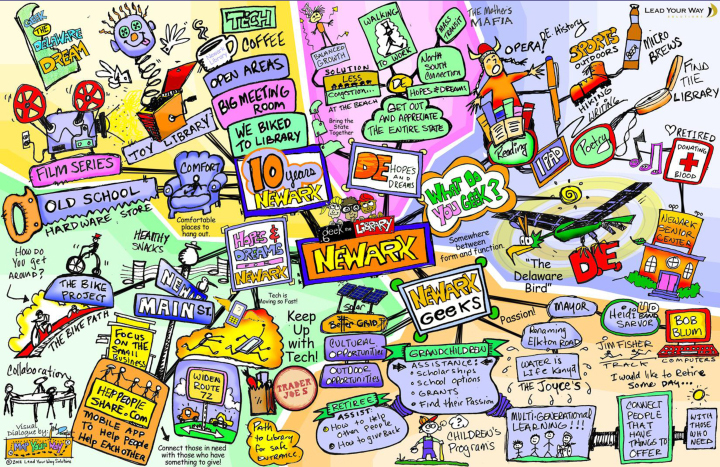 Happy Summer fellow Delawareans – Please join the Delaware Division of Libraries in a conversation: How can we water, nurture and grow entrepreneurship in Delaware? There are already great resources and supports in some areas, but let’s take this to the best step (not the next step)! In Delaware, our very own Small Wonder, what can we do? There are some neat things happening and I am impressed by successful entrepreneurs who have volunteered their time to develop some start-up dream opportunities for others. We can do more, can’t we? In the library system, we have conversations, so we are hoping that one way we can contribute to the nurturing of new and growing businesses is by being a LARGE SPONGE for ideas (that we will share in the Fall). We also love to share information and ideas. 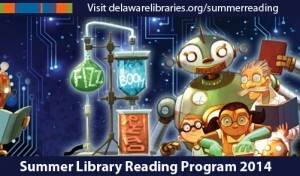 The 2014 Summer Library Reading Program is Happening Now in Delaware! The Delaware Division of Libraries and all the public libraries in Delaware invite children, teens, and adults to join the 2014 Summer Library Reading program! Themes for this year are “Fizz Boom Read” for kids, “Spark a Reaction” for teens, and “Literary Elements” for adults. Registration is free and incentive prizes are awarded based on reading milestones. Throughout the summer, libraries will be presenting a variety of fun and educational STEM programs (Science, Technology, Engineering, and Math). Reactions, Rockets, & Reading: Bring your young scientist to the library for some surprising chemical and physical reactions that will launch their imagination! You and your child will use carbon dioxide to help make mysterious spheres. Try our stomp rockets, then make and take a rocket launcher and a ping pong ball launcher powered by the elasticity of rubber. Take aim at our landing pad with a rocket powered by you. And use your imagination to turn a book into a spacecraft. The countdown to summer fun has begun. Fun, Foolery and Folktales International storyteller, published author and award-winning recording artist, Donna Washington uses her pyrotechnic voice and elastic face to transport audiences through time, across the globe and into laughter and learning with her interactive, humorous, multigenerational presentation of folktales. “Fun, Foolery and Folktales” guaranties to ignite the curiosity and spark the laughter of audiences of all ages. In partnership with the Delaware Division of the Arts. Dragons & Dreams A long time ago science and storytelling were accidently mixed and so began Sciencetellers. Combining the power of words with the power of science, Sciencetellers creates stories filled with suspense, anticipation, excitement and experiments. Experience the science of Fire & Ice as you join the daring adventure to save an entire kingdom in Sciencetellers Presents “Dragons & Dreams”. According to Sciencetellers, “If you’re in the room, you’re in the story!” In partnership with the Delaware Division of the Arts. In communities throughout Delaware, libraries are informational resource centers and gathering places, bringing people and organizations together. The Milton Library is helping to revitalize the downtown area, attracting large and diverse numbers of its neighbors with new programming and newly designed services.